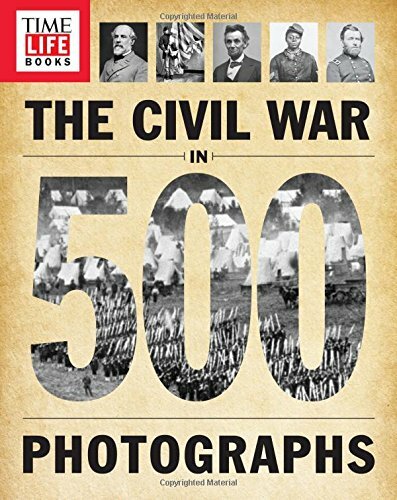 TIME-LIFE The Civil War in 500 Photographs est le grand livre que vous voulez. Ce beau livre est créé par The Editors of TIME-LIFE. En fait, le livre a 272 pages. The TIME-LIFE The Civil War in 500 Photographs est libéré par la fabrication de TIME-LIFE. Vous pouvez consulter en ligne avec TIME-LIFE The Civil War in 500 Photographs étape facile. Toutefois, si vous désirez garder pour ordinateur portable, vous pouvez TIME-LIFE The Civil War in 500 Photographs sauver maintenant. The name TIME-LIFE has become synonymous with providing readers with a deeper understanding of subjects and world events that matter to us all. Now, with the 150th anniversary of the end of the Civil War upon us, TIME-LIFE The Civil War in 500 Photographs will be an indispensable guide to a nation-changing era and the military, social, economic, and political forces that shaped it. The narrative of the Civil War, fought from 1861 to 1865, is familiarly to almost all Americans, from Presidential candidate Abraham Lincoln's noble declaration that "the government cannot endure permanently half-slave, half-free" to Confederate Gen. Robert E. Lee's surrender at Appomattox. Yet the details of the battles and battlefields, the political maneuverings, and the personalities who defined the war continue to fascinate citizens of all ages. TIME-LIFE The Civil War in 500 Photographs taps into that into that interest, providing a fresh and accessible way to appreciate this most important conflict. It will lay out the war's major developments in arresting, colorized images and cover topics from the backstory through secession, the Union's early setbacks, the Underground Railroad, victories at Gettysburg and Vicksburg, and Reconstruction. For history buffs and the newly curious, The Civil War in 500 Photographs will be the ultimate, easy-to-use guide to four years that changed our nation forever.